Banjo-maker Tom Nechville takes MN Original around his workshop and demonstrates the nontraditional process he uses to make the instrument more playable and easier to tune. Banjo-maker Tom Nechville takes MN Original around his workshop and demonstrates the nontraditional process he uses to make the instrument more playable and easier to tune. Artist Bio: Tom Nechville runs "Nechville Musical Products", a store that manufactures banjos and related accessories in Bloomington, Minnesota. The shop began as a home garage job in 2001 before expanding to a warehouse and office in 2005. He invented the "heli-mount" frame for banjos, allowing the parts to screw in "like a cap on a peanut butter jar". 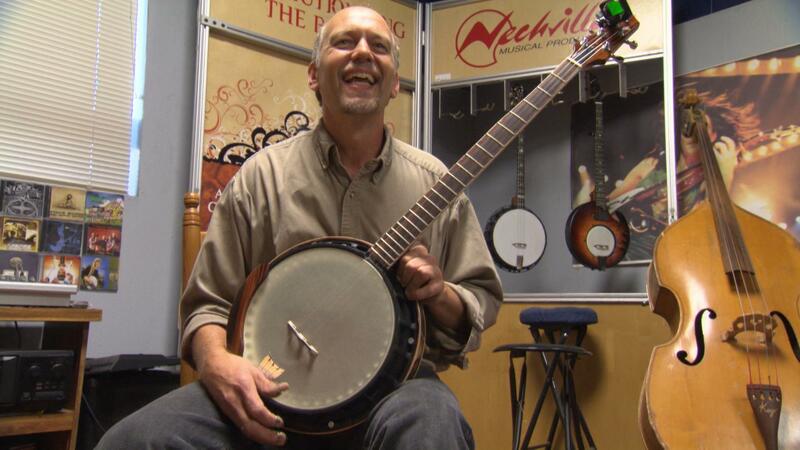 Banjo-maker Tom Nechville demonstrates his nontraditional instrument design.